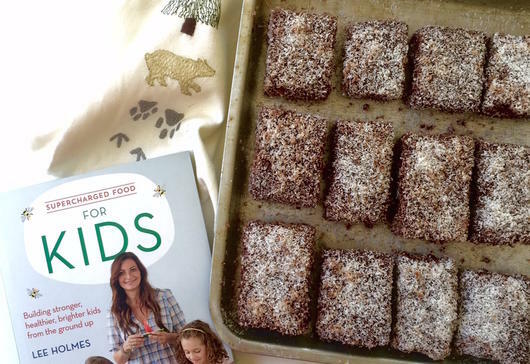 Home » Fashion » Shoes » How to Make Gut-Friendly Lamingtons! Lamingtons are such a classic Australian treat. I used to love them when I was growing up, but of course now I know they weren’t always such a healthy option. Thanks to Supercharged Food’s Lee Holmes, I’ve got a special, healthier version of this family favourite to share with you. A classic Australian favourite, Lamingtons are the perfect sweet treat to enjoy with the family, not to mention they’re a lot of fun to make. 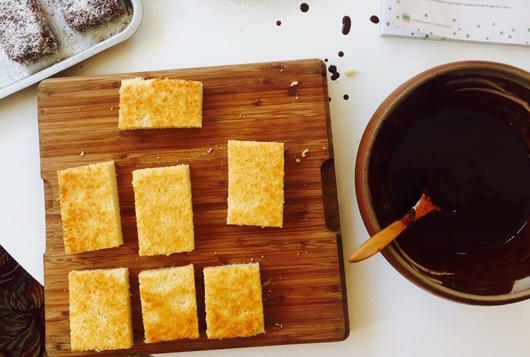 Thanks to the founder of Supercharged Food, Lee Holmes, we have got a special recipe for gut-loving Lamingtons to share, using natural superfoods and ingredients you will likely already have in your pantry! These are super easy to make with the kids during school holidays or on the weekend, and they’ll love dipping each piece into the icing and rolling it around in Coconut. Maybe be prepared for a little bit of mess! Makes 12 Lamingtons. Gluten Free! 1. Preheat the oven to 160°C. Grease and line a 20cm square cake tin. 2. Using an electric mixer, beat the Eggs with the Rice Malt Syrup and Vanilla until light and fluffy. 3. Beat in the Coconut Oil, then gradually beat in the Coconut Flour and Baking Powder until smooth. 4. Spoon the batter into the prepared tin and bake for 25-30 minutes or until golden brown and a skewer inserted into the centre comes out clean. Remove from the tin and cool on a wire rack. 5. To make the icing, stir all the ingredients together in a bowl until smooth. 6. When the cake is cool, slice into squares and dip each square into the icing, coating well. Spread out the Desiccated Coconut on a plate. Roll in the Coconut, ensuring all sides are covered. Refrigerate to set.